Home › Electronics › Zikee Laptop Sleeve Case Bag 17 17.3 Inch Neoprene Water Resistant Notebook C..
Zikee Laptop Sleeve Case Bag 17 17.3 Inch Neoprene Water Resistant Notebook C..
Water-resistant neoprene material Notebook Computer Briefcase Carrying Case Cover Bag Skin Accessories offers a lightweight design and superior protection. Protects laptop/netbook from dust, shocks, bumps, scrapes and scratches & spills. If you have any issue with this product at any time, please always contact us first before leaving feedback/review. We will strive to fix the issue to your full satisfaction. Guaranteed! 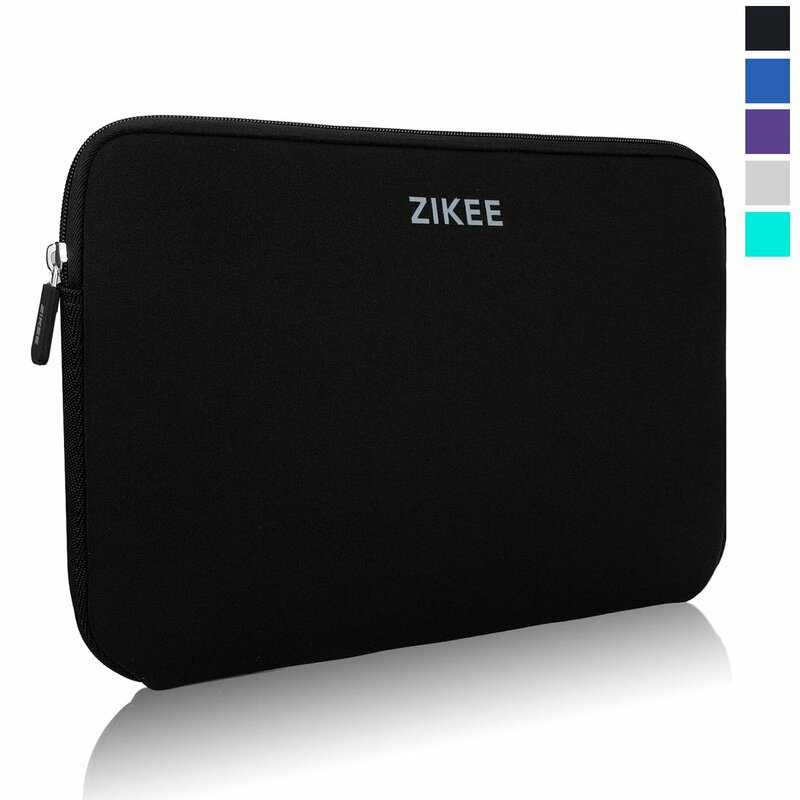 Color: Black | Size: 17.3 The Zikee laptop sleeve is specially designed for Most of 17 inch laptop. Popular Compatible Models:(List is not complete) Acer: Acer Aspire E17 E5-772-P3D4/E5-772G-52AK/E5-772G-507L Acer aspire v 17 nitro vn7-792g Asus: ASUS ROG GL752VW-DH71/GL752VW-DH74 17.3 ASUS X751LAV-TY118H Dell: Dell Inspiron 17 17R - 5737 Dell Inspiron 17 5000 Series Dell Inspiron 7000 Series I7737-4340SLV Dell Inspiron i5748-2143sLV 17.3-Inch Laptop Dell Inspiron 17.3-Inch Laptop (i17RV-3640BLK) HP: HP Pavilion 17 Premium Laptop PC 17.3 HP Pavilion 17-g154ng/17-g153ng/17-p107ng/17-p002ng Lenovo: Lenovo Z70 /Y70 17.3 Lenovo G70-80 /G70-35 /G70-70 17,3 Toshiba: Toshiba C75D Toshiba L875D-S7332 Toshiba Satellite L75-B7150 /L75-B7270 Note: 1.Warranty period: 12 months from the date of purchase. 2. If you have any issue with this product at any time, please always contactus first before leaving feedback/review. We will strive to fix the issue toyour full satisfaction. Guaranteed!